If you are a design professional working on single residence projects, then we encourage you to enroll in the Noël Furniture Trade membership program. As a member, you can work directly with our talented design support staff and receive excellent customer service from product selection through delivery. 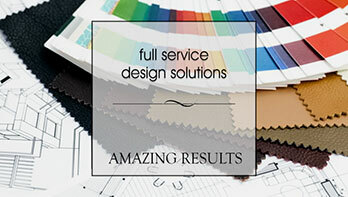 We’re here to support your business and foster your success as a designer. That’s why we’re affiliated with the American Society of Interior Designers (ASID). As a Noël Furniture industry partner you’ll enjoy a trade discount on all our non-sale merchandise, in addition to new product previews and exclusive trade customer events. We have trade specialists in-store and a sure-handed customer service team who can work with you on your specific projects. If you intend to purchase merchandise for resale, you will be required to supply a Resale or Sales Tax Certificate. Without this documentation, sales tax will be applied to all orders. Noel Furniture does not sell or share any information received.